Discussion in 'The Barracks' started by CL1, Nov 5, 2014. Have you burned a Catholic today? The licence to manufacture gunpowder in Battle was granted by the Browne family who lived in Battle Abbey and thus Powdermill Lane was the road to the factory. The Browne family (Sir Anthony Browne) was the royal standard bearer for Henry VIII and his successor, Edward VI. I live in Ninfield, where William of Normandy was reputed to have first planted the two lions standard of Normandy and the Papal Banner on the highest hill after landing in Pevensey Bay. Standard bearers seem to have a tendency to be drawn to this area! The 2nd Viscount Montague, Sir Anthony Maria Browne, the grandson of the 1st Viscount Montague, was arrested as a conspirator with Guy Fawkes and spent a year in the Tower of London. The Gunpowder Plot was treated by James I with especial meaning, as his father Lord Darnley had been murdered at Kirk O'Field with two barrels of gunpowder being used. So using gunpowder against him was to bring all that memory back and may explain why it is such a pivotal event in English monarchy. It also explains why he was so fervent in having sermons read each 5th November to give thanks for his deliverance. Whilst it seems that the first licence to manufacture gunpowder in Battle was not granted until well after the Civil War, I do wonder if the industry was not already well established before 1600, with the need to supply the English Navy with powder against the Armada. That would make the link to the Browne/Montague family being suspected of implication in the Gunpowder Plot more likely, as being the potential source for the gunpowder being brought into London. Battle gunpowder had a reputation for being reliable, and with Guy Fawkes (having used gunpowder when serving in the Spanish Army) likely to have understood the variable quality of gunpowder, having a reliable type of gunpowder would have been his preference. The fact that the gunpowder being stored in the cellars for 6 months waiting for the Opening of Parliament badly affected the gunpowder, which the conspirators knew about and brought fresh gunpowder and firewood to ensure the powder burnt for a strong explosion. James I was the first Stuart King. Charles II was his grandson and one of his lovers was Barbara Palmer, who Charles created as Duchess of Cleveland a title inherited by Charles II's son by Barbara, Charles FitzRoy (bit of a clue there). The title was created again in 1833 for the great grandson of Charles Fitzroy, William Vane, Duke of Cleveland. It was this Duke of Cleveland who withdrew the licence to manufacture gunpowder in Battle. So, the start and end of the gunpowder industry in Battle was all connected! The Battel Bonfire Boyes have an effigy of Guy Fawkes which is ritually decapitated each year. The Battle Museum of Local History has the guy on display except for two occasions, the annual Carnival and the Bonfire Parade. The head is of pearwood and has been dendrologically dated to being 200 years old. There is a Victorian photo of that same head. The above could explain why Bonfire Societies became so well established in Sussex, Kent and Surrey particularly. Now, had Guy Fawkes been doing his deed now, he'd probably be a national hero! I can't even remember the last time I saw kids with a Guy, and in fact can't recall the last time I saw a Guy on a bonfire. I worked at Lewes prison for several months and some of the POs there were members of the Lewes Firework Society (or whatever it is called). They take November 5th very seriously in Lewes. They were interested to hear I had worked on several large pyrotechnic events including the London Millennium display. Mike, the last time I saw anyone asking "a penny for the guy guv'nor" was me, my brother, and a wheelbarrow, circa 1976. Think we got thrupence in old money and a ring-pull. As it happens I live just down the road from Lewes. They might just trigger another Civil War as this year's guy is Alex Salmond. 4jonboy and Deacs like this. OK it was a long time ago, and I did make a few pence myself. But now I know better than to ask strangers for money. The main tradition when I was growing up was on 4th November, mischief night. Knocking on doors and hiding behind walls to see if anyone answered, wooden gates going missing and ending up on the bonfire etc. Lewes is the absolute Dogs. Watched them filling one of those effigies one afternoon - thought it'd be sophisticatedly wired up in some clever manner, but instead it was a bloke on a ladder pouring box after box of fireworks into the thing. Fantastic, and a rare sense of liberation on the night. Something not quite English about it, while also being tremendously English. A hint of the Bacchanal. Nice place Lewes, but all I really saw if it was road in, road out and the clink, oh, and a pub after one Christmas site meeting. Penny for the guy was what we entrepreneurs did to raise money when we were young'uns. I really don't get this pagan, trick or treat, thingy around Halloween; the ‘British’ is being replaced by the ‘Yankee’. Seen some feral estate kids do the 'Money for the Guy' stunt in a pub near Marylebone in 2007. The landlord shoved them out, one of the lads (about 9-10, or malnourished 11-12) lost it, and with a furious face started screaming at the landlord 'I am going to f*cking kill you'. Had to be restrained by his mates. Frightening really. Or ye goode olde English fun. it is largely forgotten in Australia where Halloween seems to be gaining prominence (unfortunately) . Agree with what Steve Mac is saying. With Stevie Mac here too! 'Guys' (Pun intended), I don't believe I'd ever seen a pumpkin until about 15 years ago. Now, on the approach of 31 October, you can't get into supermarkets for the pop-up displays of pumpkins blocking your path. I guess I'm old fashioned in certain respects - the 'bring back penny for the guy' petition starts here. And whilst we're on the subject of apparently lost 'British' youths entrepreneurial pursuits, whatever happened to 'bob a job' week? Indeed. 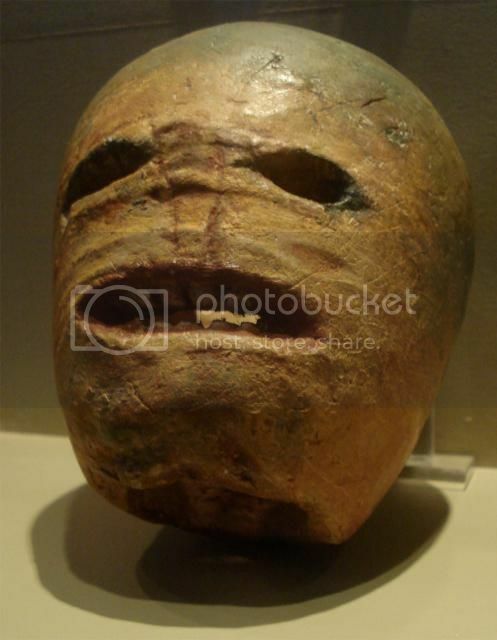 Hands up whoever carved a Swede or Turnip as a kid, when pumpkins were an exotic & unheard of thing. About the only observance of Halloween I remember. Swedes and turnips also edible - unlike Pumpkin. 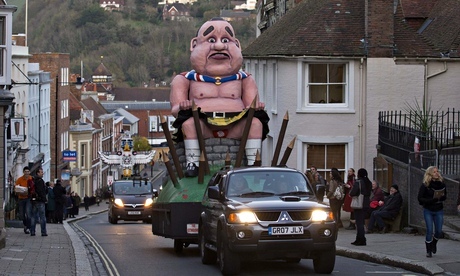 Glad to see Lewes ignored the crybabys and blew up their Salmond effigy anyway. Let's see if they get stopped officially next year. The Putin/MH17 & Barroso effigies weren't bad either. Did or didn't they blow up Alex Salmond's effigy? They've been reported to the police anyway for racism. Notice the groups Facebook page has now been changed to a closed group! !